A preview of the 2015 Wimbledon women's semifinals matchups between Serena Williams and Maria Sharapova and Garbine Muguruza and Agnieszka Radwanska. It's a tale as old as time. Or at least the last 10 years. Sharapova, who will rise to No. 2 after the tournament, has not beaten Serena in over a decade, with her last win coming in the fall of 2004. That was the same year that a 17-year-old Sharapova stunned Serena in straight sets to win her maiden Slam right here on the hallowed grounds of Wimbledon. Since then Serena has exacted her revenge in full, reeling off 16 consecutive wins over the Russian, including three in major finals (four if you include the 6–0, 6–1 win in the 2012 Olympic gold medal match). "Definitely no secrets between each other's games," Sharapova said. "But, I mean, look, I haven't played Serena here in 11 years. [Editor's note: They actually played at Wimbledon in 2010.] 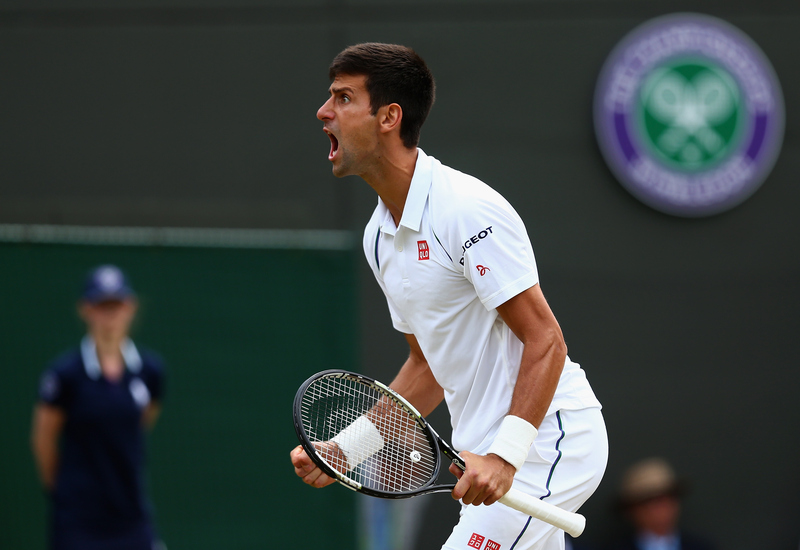 That would be an incredible moment for me to step out on Centre Court against her again." Considering that it's been Serena and Maria, along with Venus, who have ruled the women's tour the last decade, the Serena-Sharapova head-to-head is the most shocking and emphatic stat in women's tennis. Serena's performance in their last 16 matches speaks volumes as to her desire to keep her dominance over Sharapova intact. "I love playing Maria," Serena said. "I think she brings out the best in me. I think I bring out the best in her. I thought we had a wonderful final in Australia. It was very entertaining. She played really well. For me, I don't feel like I have any pressure going into this match." There's that word: Pressure. With her combined record against the remaining three women in the tournament at 27-3, she is the favorite to win the title. Since coming within two points of losing to Heather Watson in the third round, Serena has elevated her game with every match. 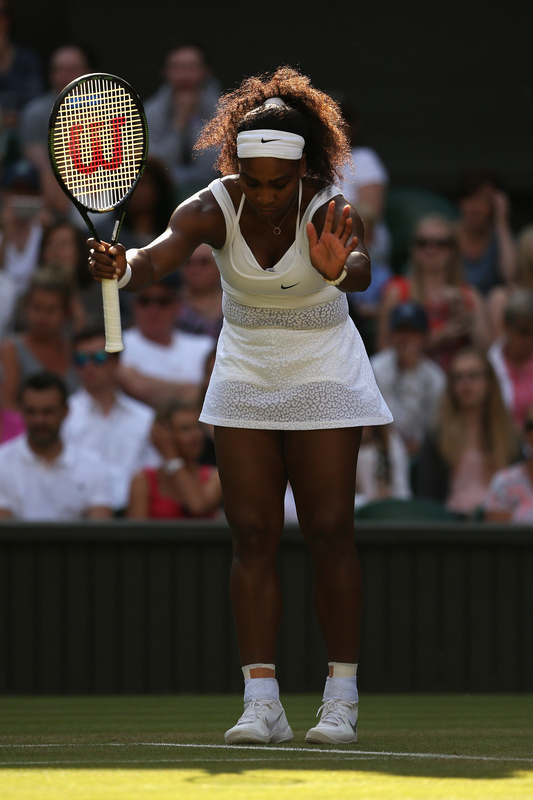 There was the calm clinic she put on to defeat Venus in straight sets in the fourth round. 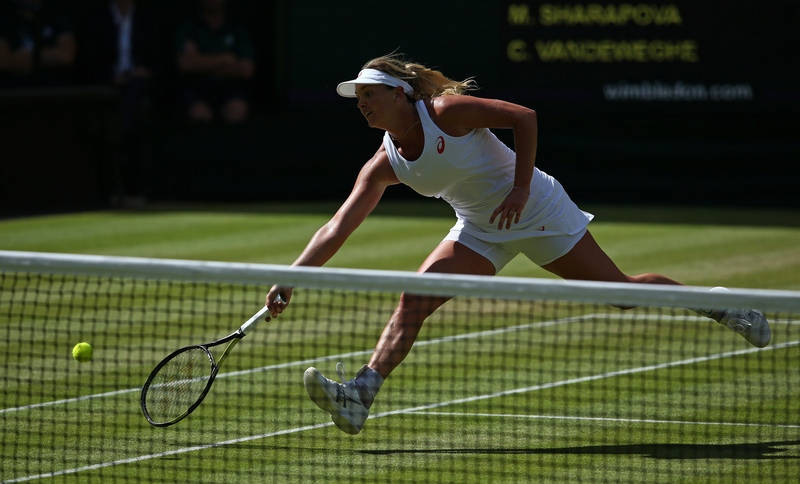 Then came her best performance of the tournament, a 3–6, 6–2, 6–3 win over Victoria Azarenka in the quarterfinals. As the possibility of winning her fourth consecutive major begins to crystallize, Serena has gone out of her way to deflect the pressure and expectations. Just try mentioning the "Serena Slam" or "Calendar Slam" around her. She'll cut you right off. ​After she beat Azarenka, Serena was asked about the prospect of playing Sharapova in the semifinals. The two played a high-quality final earlier in the year at the Australian Open, which Serena won 6–3, 7–6 (5). 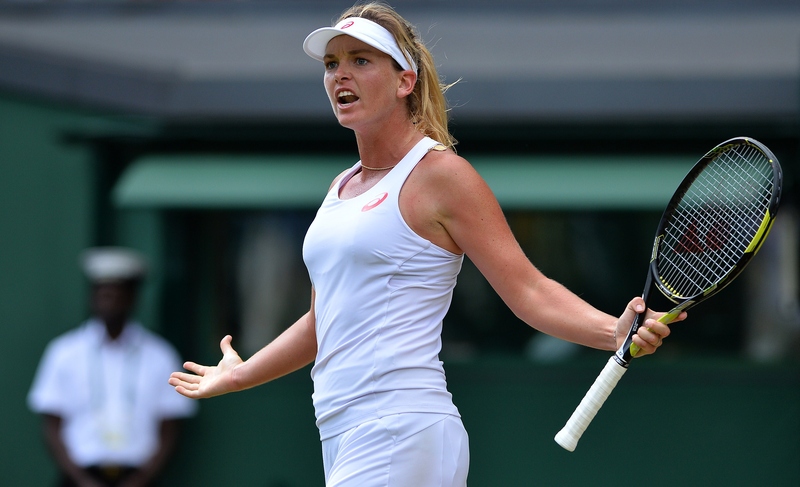 Despite her dominant record over Sharapova and all the milestones on the line at Wimbledon, she stuck to her guns: She said she had nothing to lose. The comment sounded absurd at the time. You have a chance at history here! To become the first woman to hold all four major titles twice, win Slam No. 21 and keep the Calendar Grand Slam alive for the U.S. Open, where you could catch Steffi Graf's Open Era record of 22 major singles titles! But when you hear Serena explain her reasoning it's hard to argue with her logic: "I have nothing to lose. If I win, it's great. If I lose, I did pretty well. It's just totally different for me. I don't have anything to prove. I won all the Grand Slams, multiple times. Now it's just I'm here just to enjoy it. I think it's actually making me play better, which is crazy." 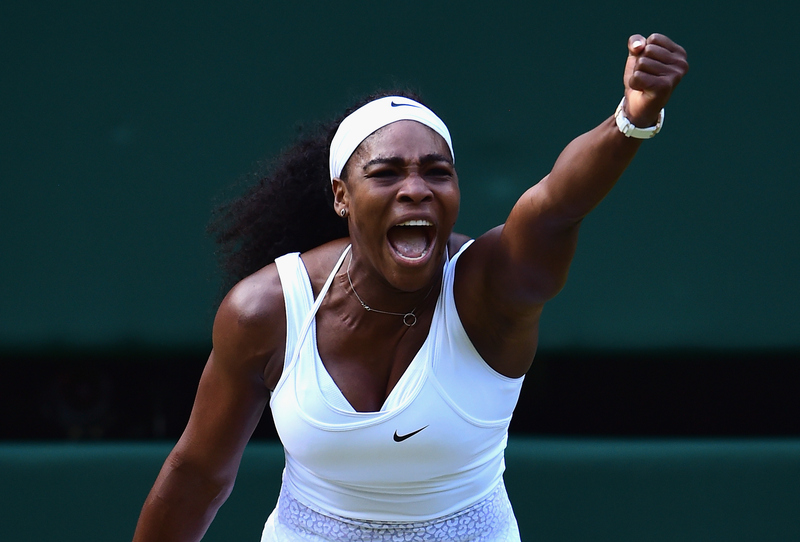 Against Sharapova on grass, Serena's game amplifies. Her serve is bigger, her flat strokes cut through the court more, her returns even more devastating. Sharapova will need a near-perfect serving day to protect against her second serve, which is vulnerable to attack. But if Serena is on her game this is a tough task for Sharapova. Just ask Azarenka. After now forcing Serena to three sets in their last three matches, Azarenka was asked whether she had any tips to offer to Sharapova. Said Azarenka: "If I had one, I would have used it today, trust me." Radwanska and Muguruza are the two surprise semifinalists, both coming out of the bottom bracket that was vacated early by defending champion Petra Kvitova. The reasons they were overlooked differ. Radwanska, a finalist here in 2012, is a grass court menace. 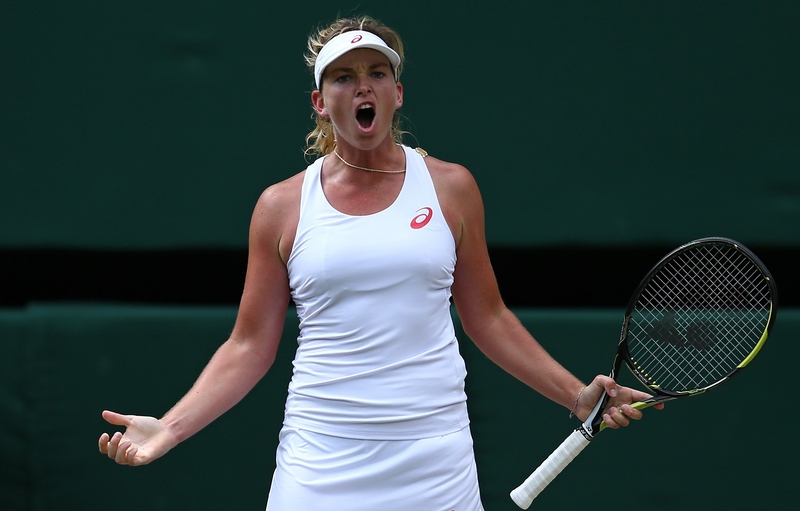 She's now made the semifinals or better at Wimbledon three of the last four years. But her form had been terrible all season. She slipped out of the Top 10 for the first time since 2011 in May. Her high-profile pre-season coaching hire of Martina Navratilova was a failure, as the two split in April. She came into the grass season making just two quarterfinals all year. But after a confidence-boosting run to the semifinals of Nottingham and the final of Eastbourne, Radwanska rediscovered her game, full of creativity and guile, to make a run. She has not had to face a top 20 player through five matches, but got through a tricky three-set win over No. 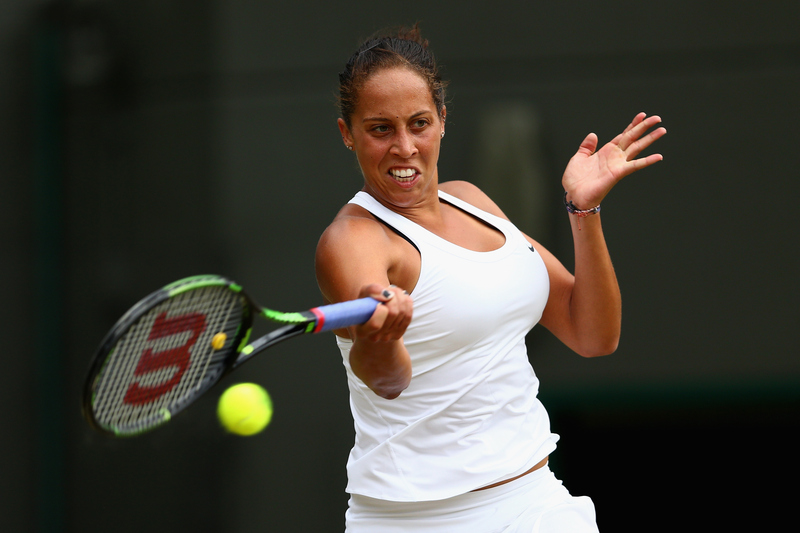 21 Madison Keys in the quarterfinals. While Radwanska arrived to Wimbledon relieved to be playing on her best surface, 22-year-old Muguruza was the opposite. Grass wasn't supposed to be her thing, she thought. "I think the first tournament [I ever played on grass] was Birmingham," the affable Spaniard said. "I said, I'm never coming back here. I was like, I cannot play on grass. I didn't play in Spain never. So was very different. I couldn't run. The bounce of the ball was weird." Muguruza had just one main draw win at Wimbledon before this year. Now, playing in just her third Wimbledon main draw, she's into her first Slam semifinal. She's as surprised as anyone. "I'm very happy to be to semifinals because I lost two times quarterfinals," Muguruza said, referring to her two quarterfinal runs at the French Open. 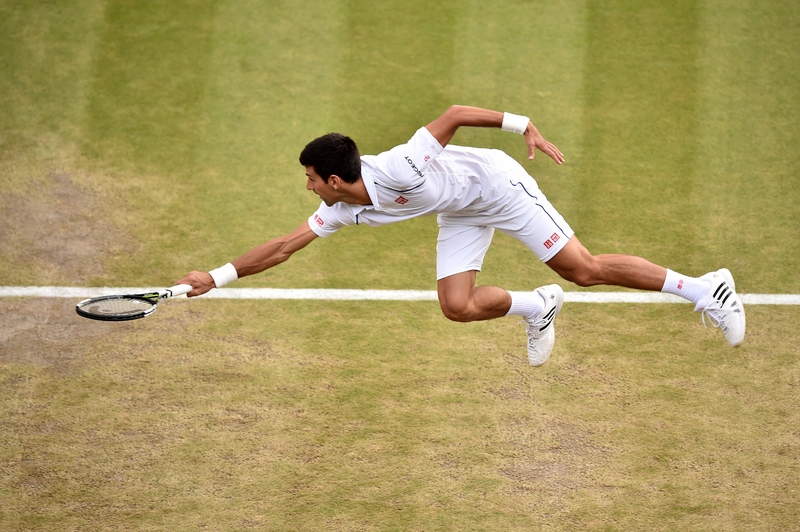 "I'm surprised that my first semifinals is on grass. But I think I'm playing really good. I think the surface helps me." 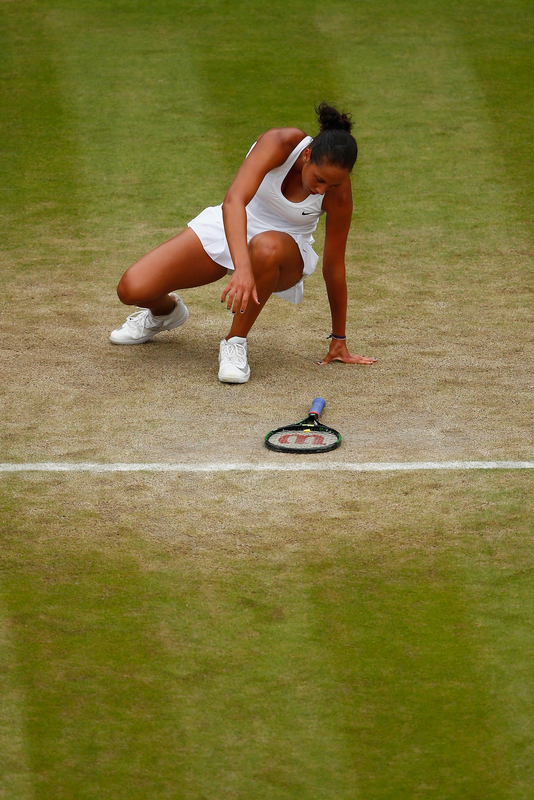 For an unaccomplished grass court player, Muguruza's run here has been beyond impressive. The big-hitting Spaniard said the key to translating her game to grass has been getting low and staying low through the ball. She's done that well this year to beat No. 5 Caroline Wozniacki in straight sets, No. 10 Angelique Kerber in three sets and No. 15 Timea Bacsinszky in two sets. Muguruza has won the last two matches she's played against Radwanska, both coming on hard courts this year.